being sold as is with no returns. We tested the gun and it was shooting around 319 Fps at the time of the test. 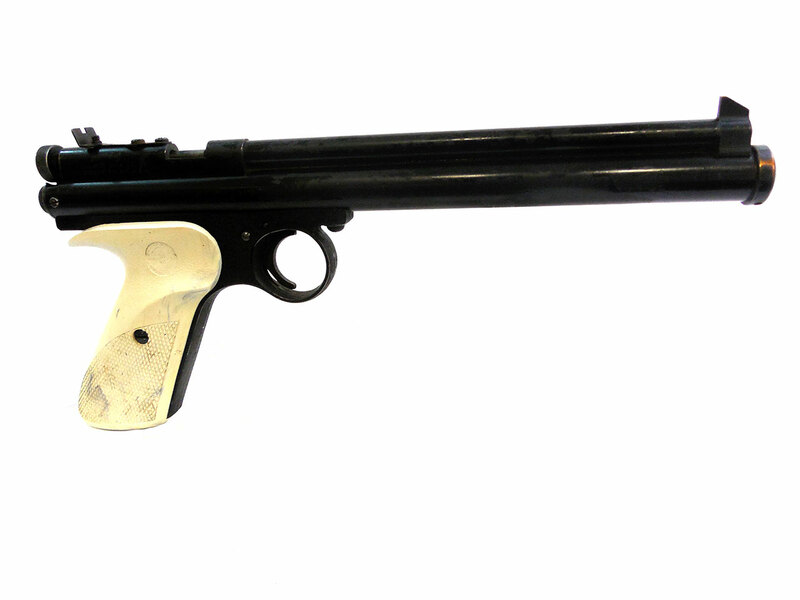 The Crosman model 111 is a CO2 single powerlet pistol. 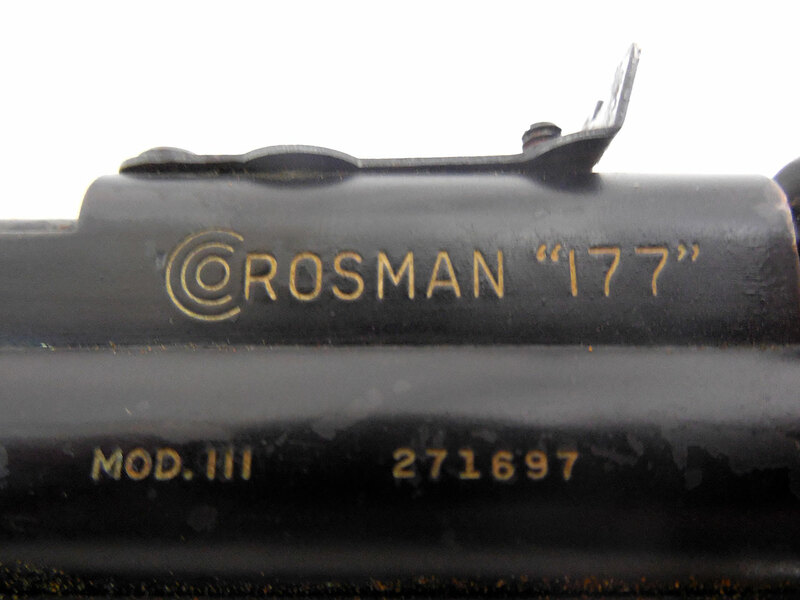 This gun has a separate gas cylinder, and an 8 1/8 inch rifled barrel. 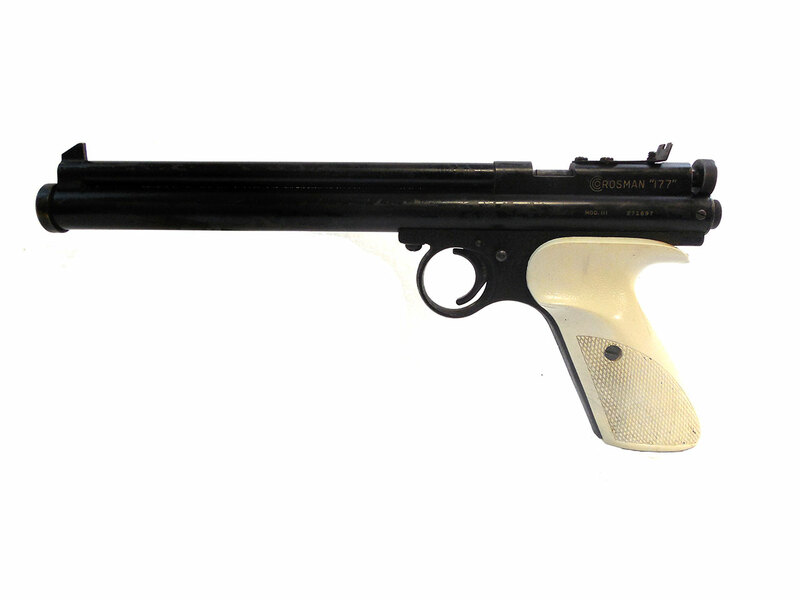 The model 111 is a single-shot .177 caliber gun. This pistol has been shot and measured a 319 Fps, but we did hear a leak that could be from the exhaust valve. Also, we cannot guarantee that this gun will consistently work, or that it has all of its original parts. 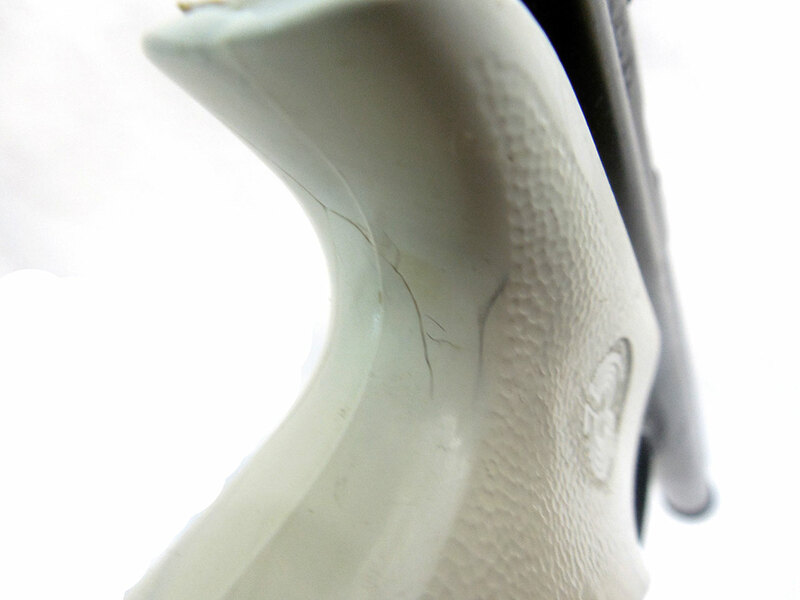 This gun has approximately 60% of its original finish, and its grips have minor scratches, but are in good condition.